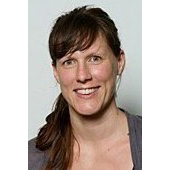 Dr Sally Wortley is a research fellow at the School of Public Health at the University of Sydney. She has a PhD in the field of health technology and public engagement and has worked in the field of health technology decision-making for over 15 years. Over this time she has worked an independent evaluator for the Medical Services Advisory Committee as well as an analyst at the National Institute of Health and Care Excellence (NICE) in the UK. Her main areas of expertise are around diagnostic test and surgical intervention evaluations and she is particularly interested how the public are informed and involved in new and emerging technologies. Dr Samara Lewis is a Research Manager at the Menzies Centre for Health Policy. She has ten years’ experience in producing synthesised research to inform government decision making, predominately at the NHMRC Clinical Trials Centre, University of Sydney, as an independent evaluator of new technologies for the Medical Services Advisory Committee. She has also produced reports for the National Health and Medical Research Council, PBS post-market reviews branch, Nationally Funded Centre’s program and the MBS Quality Reviews. She previously worked at the Cancer Institute NSW in research and evaluation and has a PhD in Developmental Biology. Implantable medical devices have been the subject of three Senate Inquiries in less than 10 years (transvaginal mesh, joint replacements and breast implants). There are lessons to be learnt and mistakes to be avoided. While much of the heat has been directed to the regulatory approval process, a clinician-led, consumer-focused approach has the potential to reduce harm and engage those who are most affected by the success and failure of these technologies. Consistent recommendations for better reporting of adverse events, the establishment of patient registries and better informed doctors and patients could all be addressed, at least to some extent, through such an approach as exemplified by Choosing Wisely. Choosing Wisely and the Royal Australasian College of Physician’s EVOLVE initiative have been in operation for two years in Australia and along with the Medicare Benefits Schedule (MBS) Review and the Australian Atlas on Healthcare Variation, all have slowly started a change in the way we view and discuss care choices. The main impetus of Choosing Wisely is to reduce waste in the health care system . As such professional societies are called upon to generate “Top Five” lists of tests, treatments and procedures already in use in the healthcare system where evidence shows they provide no benefit, or lead to harm. Choosing Wisely Australia currently lists 145 recommendations, the majority of which are recommendations to avoid the use of medical tests or imaging in specific circumstances. This is similar to findings reported internationally where 62 per cent of recommendations are around medical tests and imaging . There are, however, very few mentions of procedures involving therapeutic devices (pacemakers, nerve stimulators, prostheses etc) amongst the current recommendations so as it currently stands, their appropriate use is not part of the conversation Choosing Wisely is generating. There is a diversity of medical devices with wide ranging features across cost, complexity and invasiveness; the focus here is on those which carry a higher level of patient risk by virtue of their degree of invasiveness or duration of use. Choosing Wisely does not yet cover circumstances where new treatments, tests or procedures emerge and where there may be significant uncertainty about the benefits and harms, but for devices where the technology lifecycle is shorter with ongoing incremental innovations, coupled with uncertainty around clinical effectiveness and safety, this is a point at which the clinician-patient conversation needs to occur. While Choosing Wisely focuses on ‘waste’ the key issue for devices tends to be safety. Given these differences, could a Choosing Wisely approach be applied to the introduction and early adoption of high-risk therapeutic devices, and in particular to procedures involving implantable devices? With respect to devices, their development and introduction into clinical practice is often a close collaboration between clinician and industry, furthermore, the effectiveness of a medical device depends not only on the device itself but also on how it is used. Therefore the skill and training of the operator can have a significant impact on the clinical effectiveness and hence, value of the device. This places the clinician at a more central position in the development and delivery of devices as opposed to pharmaceuticals. Metal-on-metal hip prostheses exemplify these features, along with those of incremental change and the need for long term monitoring. The prototype was developed by a UK surgeon in his garden shed and was incrementally modified by different commercial companies. The safety and effectiveness of the implants, which differ according to both the incremental modifications and to the precise placement of the individual prosthesis, requires long-term follow-up . A technology management approach brings clinicians and patients into the centre of the process rather than relying on the interaction between manufacturer and regulator. The clinician-led principle of Choosing Wisely is positioned as in opposition to that of the regulatory and reimbursement system, the traditional gatekeepers to the introduction of new technologies. However, these ‘gatekeepers’ are themselves under pressure to change from static point-in-time assessments, predominately at the point of technology introduction, to a dynamic health technology management approach in which safety and appropriateness can be monitored over the technology life cycle . A technology management approach brings clinicians and patients into the centre of the process rather than relying on the interaction between manufacturer and regulator. These are just as applicable to new procedures as they are to more established tests and treatments and consumers want to have these conversations. The NPS MedicineWise National Consumer Survey found that almost 90 per cent felt confident in asking questions about medical tests and in being proactive in their healthcare. Choosing Wisely is a success with respect to the substantial buy-in from clinical societies both in Australia and internationally, though its success in reducing overuse is more difficult to measure and yet to be ascertained. The most directly applicable element of Choosing Wisely for the introduction, and use, of high-risk medical devices, is the conversation between clinician and patient to ensure full patient consent and awareness of the risks, benefits and uncertainties. Choosing Wisely Australia, Choosing Wisely Australia 2016 Report. 2016, NPS MedicineWise,: Sydney. Wolfson, D., J. Santa, and L. Slass, Engaging physicians and consumers in conversations about treatment overuse and waste: a short history of the choosing wisely campaign. Acad Med, 2014. 89(7): p. 990-5. Morden , N.E., et al., Choosing Wisely — The Politics and Economics of Labeling Low-Value Services. New England Journal of Medicine, 2014. 370(7): p. 589-592. Levinson, W., et al., ‘Choosing Wisely’: a growing international campaign. BMJ Quality & Safety, 2015. 24(2): p. 167-174. Cohen, D., How safe are metal-on-metal hip implants? BMJ : British Medical Journal, 2012. 344. Husereau, D., et al., Changing health technology assessment paradigms? Int J Technol Assess Health Care, 2016. 32(4): p. 191-199. Australian Comission on Safety and Quality in Healthcare. Consumer forums to discuss transvaginal mesh. 2017 29/09/2017]; Available from: https://www.safetyandquality.gov.au/our-work/transvaginal-mesh/consumer-forums-to-discuss-transvaginal-mesh/.